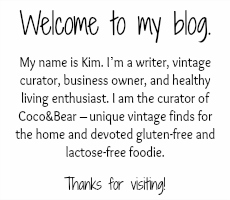 This past week, my shop Coco&Bear celebrated its 1 year anniversary. I cannot get over how quickly this year has gone by. I opened by vintage Etsy shop because I love vintage, I was ready to try something that was just my own and I wasn't afraid to take a chance. I took a huge leap of faith, opened my shop with really no idea how Etsy worked, had only a small stock of vintage to start and off I went. I am by no means an expert at this. I learn something new almost everyday and have found this experience to be one of the most rewarding things I have done in my entire life. I'm going to share with you just a few of the many important and fundamental lessons that I have learned during my first year. 1 - When it comes to vintage, knowledge is key. Although I had always had an interest in vintage, I could not say that I knew a lot about the different types and could not date an item simply by looking at it. In order to buy good items for the shop, I had to become more knowledgeable... and fast! The question was.. how? - Ask your sellers! The people that you are buying from probably know quite a bit about the vintage item you are purchasing from them. Ask them where they got it? Do they know much about the product/item? They can often tell you so much and help you to learn more about what you are selling. Don't be afraid to not know the answer! - Take advantage of the Etsy community. There are so many wonderful sellers on Etsy. 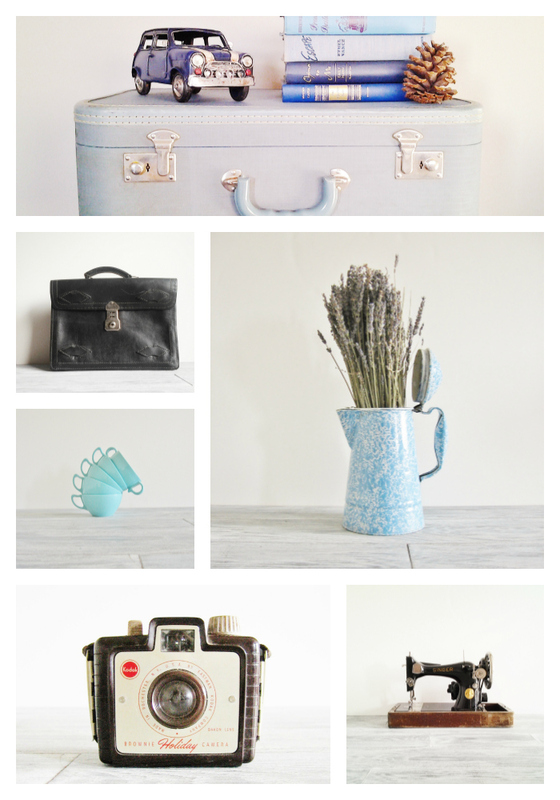 When I was just starting my shop, I browsed through Etsy to locate other vintage shops that I admired. I would contact the owners to let them know that I was new and ask any questions that I might have. I got some great tips and met some great people - many of whom I am still in contact with. You are not alone in this, there is a great community of people out there to help. 2 - Don't be afraid to spend. As the old saying goes, you need to spend money to make money. In order to build your shop, you need to get out there and buy great vintage items. Customers need to find your shop, so having a good variety of great vintage items will draw them in. Be ready with a solid budget that you can spend. You will probably not start seeing a profit straight away, but be patient and give yourself and your shop the time it needs to stand on its on two feet. As with any good business, it takes time to build a client base so be patient with yourself. 3- Learn the art of photography. - Find your style. I learned very early on that finding a style of photography for your shop is very important. I stalked many vintage shops that I loved and over many months tried different techniques and mimicked different styles until I finally found a style of photography that worked for me. I use natural light and a simple white background with a rustic white table (which I built with the help of a few friends). The goal is to find a style that reflects the type of items you are selling and one which you feel is beautiful. Don't hesitate to keep trying new styles until you find one you like and ask other sellers what they are doing. - Start shooting. You do not need to run out to the store and buy the most expensive camera you can find. For the better part of this past year, (I can't believe I'm about to reveal this) I used my Samsung tablet to take all of my photos. This is by no means a 'fancy' camera. I would then use a Photoshop program that was already on my computer to adjust the lighting and shading of the photos and that was it. You don't always need fancy equipment to take a beautiful photo. Try different angles, take more shots than you think you need and don't be afraid to play with props - I love props! I have encountered many people throughout this past year who have said to me "you own an Etsy shop? oh, that's so cool, I've always wanted to do that". I quickly ask them why they haven't. We all make so many excuses for not chasing after the things that really make us happy. So if you are one of those people who have always dreamed, but never taken the leap, I hope that some of these suggestions will help to make that first step just a little easier. This has been an amazing year. My goal was to sell 100 items and I surpassed that, selling 150 items just in time for my 1 year anniversary. I've met some amazing people and had some very loyal and friendly customers. My goal for this next year is to make it to 400 sales (a pretty big goal.. I know!) I want to continue to offer my clients unique and beautiful vintage finds! So what I'm trying to say is that you don't have to be an expert! Starting with a love for vintage is what really counts. You simply learn as you go! Awesome, Kim! You took the leap of faith and landed on your feet. Brava, congratulations on 150 sales, and here's to many more years of success! Kim this is fantastic!!! Your shop is awesome and you have a great eye for great vintage! Congrats on 150 sales! That's great! You've done really well on your first here in Etsy. Your list of tips is useful for anyone thinking to have his own online business. And I agree that you need to invest a certain amount of time, money and effort to see the results. But once you do, all the hard work pays off. Hope you get a more awesome year! thank you so very much! this post is amazing. i'm so freaking stoked to start my etsy shoppe!